If you’re not currently watching Teen Wolf, then I’d like to take a minute and suggest that you start. Not because it’s an amazing show and you’re missing out on world-class storytelling, or even because the shirtless dudes are really that amazing. I mean, they’re nice, but they’re not quite enough to compensate for the plot-holes, marginalized characters, and frequent tonal shifts that plague the series. The reason I think everyone and their mother should watch Teen Wolf has very little to do with the show itself, and everything to do with a single character: Scott McCall. Now, this might seem super obvious to state, since Scott (played by Tyler Posey) is the nominal protagonist of Teen Wolf. I mean, he is the “teen wolf” that the show’s title is referring to. It’s Scott’s life that’s transformed when he’s bitten by a crazed werewolf, it’s Scott who has to man up and learn how to be a supernatural creature in a banal world, and it’s Scott who has to do all of this while trying not to fail all of his classes or lose sight of what makes him human. But the real reason why Scott makes the show work isn’t because he’s the main character. At this point that role is largely in name only - Scott has been the central character but not the “main” one for a few seasons now. No, the reason everyone should watch Teen Wolf and marvel at Scott McCall is actually a lot simpler than that. Simply put, Scott McCall is a really, really good person. Like a really, really, really, really good person. Scott is the kind of person that Sunday school teachers coo over and little old ladies know by name. He’s a Disney prince of a guy, and he’s so incorruptibly wonderful that the entire arc of this most recent season dealt with the fact that you literally cannot make him a bad guy. He is also, and I feel like this is where the show gets really interesting, a biracial teenager from a “broken home” living with his Hispanic mother in a house where the power gets shut off because they can’t pay their bills and where he has to take extra hours at his after-school job so they can buy groceries. This kid is basically the werewolf messiah, and he’s not an upper-middle class white boy. He’s from the exact demographic that we would consider “at risk youth”. 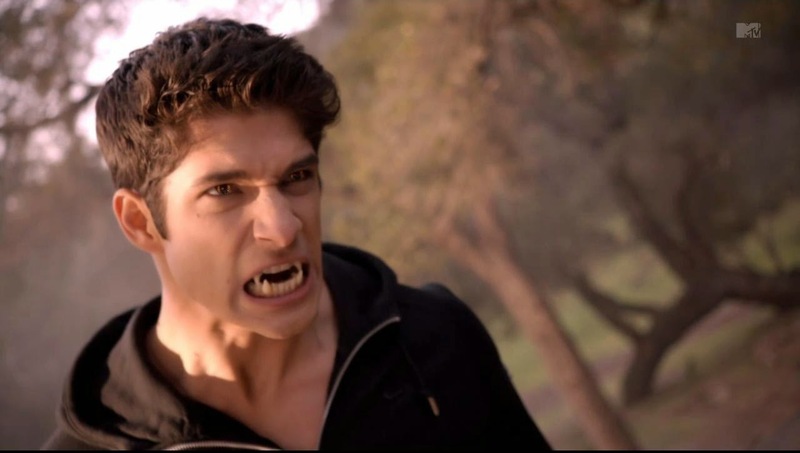 Scott’s a lot closer in socioeconomic status and cultural image to Mike Brown and Trayvon Martin than he is to the original Scott McCall of the Teen Wolf movie. And that? Makes the show worth watching. Now, I really shouldn’t give Jeff Davis, the showcreator, too much credit here. Or really any credit. From what I’ve been able to tell, Davis has been ambiguous at best and downright irritated at worst regarding Scott’s racial and economic background. The majority of this development has actually come because of the actors. Tyler Posey is biracial, and very open about the fact. After finally being confronted one too many times about having cast a non-white actor in the lead role, Davis decided to make it an intentional choice, but Scott’s race actually remained a non-topic for the first few seasons of the show. Additionally, one gets the impression that Scott was not always intended to be the best boy ever. In the first season, it seems like the show is going to make Scott heroic, but complicated, like the usual television heroes. It wasn’t until the second season (the agreed upon worst season) that the show started to build Scott up as a great person, and it was in the third season that everyone just sat down and agreed that Scott is basically the best person to ever live. So it’s been a long process. And don’t get me wrong. When I say that Scott is, on this show, pretty much the best person to ever live, I don’t think I’m exaggerating. So far he has somehow managed to become the Alpha of a werewolf pack simply by being a really good leader and inspirational and pure of heart (something so rare that there is literally a plot where another werewolf pack tries to steal him), as well as being the kind of guy who doesn’t just stay friends with his ex-girlfriend, he stays best friends with his ex-girlfriend. There are scenes where Scott tells his friends how much they mean to him and how much he loves them. There are scenes where Scott tells his enemies how much they mean to him and how much he loves them. There is literally a scene where Scott breaks through a magic spell with the power of love. Actually there are a bunch of scenes where he does that. Because Scott McCall is magic. And it’s not just that he’s sappy and cute and magically gifted. Scott McCall would be an angel if he didn’t have any supernatural powers, and from what I can tell, that’s the point. He’s like Steve Rogers that way. What happens if you give superpowers to a person who has a weak constitution (interesting because both Steve and Scott have debilitating asthma for most their lives), but an infinite ability to care for others? Well, it appears that you get Captain America and True Alpha Scott McCall. 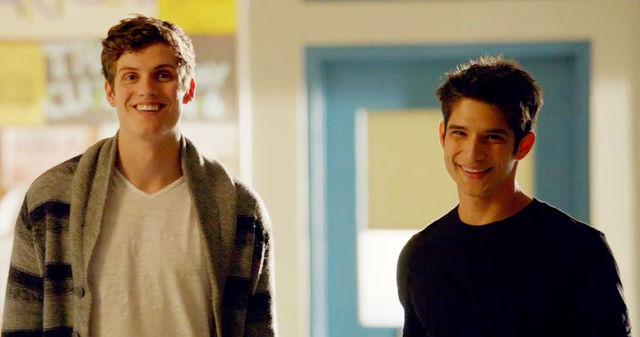 Becoming a werewolf didn’t make Scott a good person, it just gave him the power to be the best good person he could be. I cannot emphasize enough how much I love Scott. In the first season he’s a little annoying, sure, but honestly I blame the writers for that. They didn’t yet know how to write him, and they were portraying his defining feature (his ineffable goodness) as a liability and frustrating weakness. Once they realized that Scott’s actual flaw is that he’s pretty much incorruptible, the show really picked up and got more interesting. They doubled down on Scott’s niceness, and the result is awesome. Which is why it’s all the more important to note that Scott? Not your average white teenager. Not a white teenager at all. While the circumstances of Scott’s life are actually probably the result of the writers trying to create a scenario where it’s plausible for a sixteen year old boy to spend most of his nights running around the woods fighting monsters, the facts remain the same. Scott’s parents are divorced, and at the start of the show at least, his father is completely out of the picture. It is implied several times that his father was an alcoholic, and borderline abusive. Scott’s mother, on the other hand, is a genuinely amazing and wonderful woman, but she’s busy providing for her teenage son (and the occasional love-starved foster kid that her son literally brings home to live with them because that is an honest to goodness plot point). 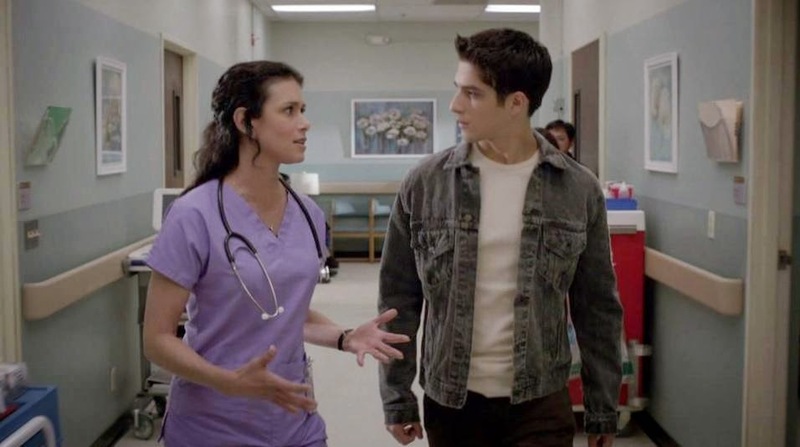 Melissa (played by Melissa Ponzio) is a fantastic mother, but she’s not around a lot, because she’s always working. She’s a nurse, and while it’s a profession that pays pretty well, it’s clear that it doesn’t pay well enough. And, I mean, I just can’t get over how interesting Scott’s background is from this perspective. Because his father, who we later discover is an FBI agent, is a codedly upper-middle class white man, but Scott chooses to live with his working class Hispanic mother. Nursing, though an important (very) and difficult job, is generally considered a lower-class profession. It’s something working class people do. Higher income people with the same interests become doctors. It’s hard to think of a more positive representation of a Hispanic teen in pop culture. It’s hard to think of a more positive representation of any teenager in pop culture. Scott’s one of a kind. Because while he is a rather static character (he is good and he stays good), Scott isn’t by any means boring, nor is he a bad character. Like I mentioned earlier, he’s a lot like Captain America. Just because he’s good doesn’t mean everyone else is, and a great deal of really interesting conflict can come from Scott and his idealism butting up against the world. This one quirk, too, pretty much saves the show. Without Scott and his magical werewolf amazingness, the show would quickly disintegrate into a series of teen trauma tropes. I mean, the other characters are great and all (Allison was amazing, Malia is hilarious, Lydia is a gem, Derek is my squishie), but Scott is the reason why the show is worth watching. So even if you don’t like Teen Wolf, and think it’s cheesy or bad or kind of offensive sometimes (all of those being perfectly reasonable things to think), remember Scott McCall. Remember that one time that he asked, in perfect earnestness because Scott is never not earnest, why his mother hadn’t kept her maiden (Hispanic) last name. He wanted to know so he could understand, and made it clear that he would support her no matter what. Remember the time that Scott took time away from hunting the supernatural creature of the week to help his best friend who was going through a rough time. Remember the time that Scott risked his life to save his high school bully from being hurt. Repeatedly. Even when it became clear that said high school bully was a real and honest threat. Remember that time that Scott allowed himself to be tortured in order to save someone who wasn’t even technically in his pack. Remember all of the times that Scott has proved he has a pure heart, and then remember the way that the media usually shows us Hispanic (non-white in general) teenagers. Teen Wolf does a lot of things wrong. A lot. But this is one thing that they do consistently right. He's made of puppies and sunshine and rainbows and love.